Why do the two have two be distinct? Some people think that to have quality website traffic (i.e., potential customers, engaged readers, people who share your content) is mutually exclusive from getting quantity website traffic (i.e., just tons and tons of visitors). This is not necessarily the case. Of course you’re going to have a higher quantity if you pay for some sketchy Russian website traffic service and you might get penalized by Google for doing it, and none of it will be quality. 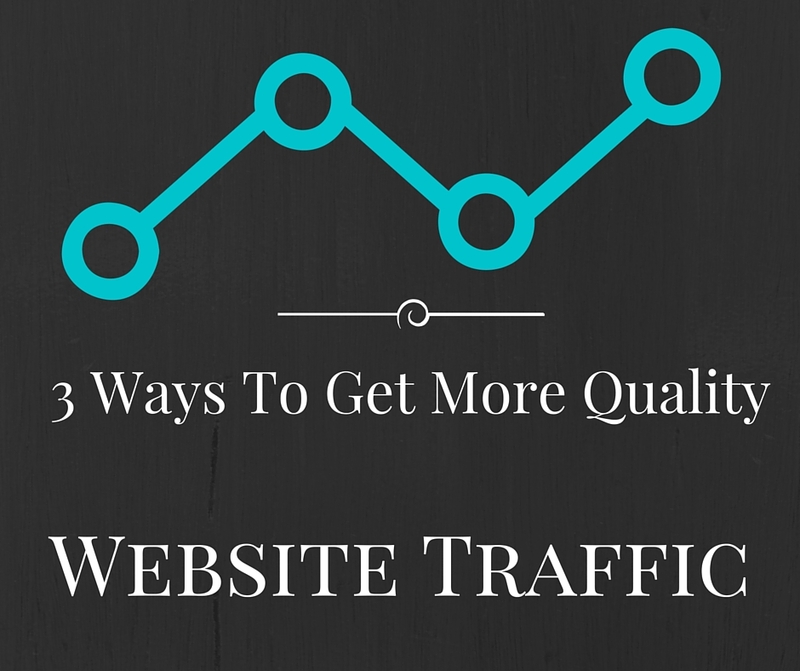 However, if you want a large quantity of quality website traffic, then there are a few measures you’ll want to take. Some people think they can copy and paste articles from somewhere else, use some sort of aggregator/syndicator to have content automatically populated, or just throw some low-quality blog posts up and be just fine. This just isn’t the case. Google’s search ranking algorithms are smart. Making sure that you are writing and producing good quality content is the best way to gain traffic and increase your organic search rankings. Plus this shows your traffic you’re for real. If you’re attempting to cheat the system in an effort to get more people on your site, none of those people are going to view you as reputable. Make sure you are producing content that is useful for readers, formatted well, is readable, and unique. This will attract more and more quality website traffic. Have a consistent online voice. This might sound funny to you, but it can be the most important thing you read all week. If you’re running an online business or brand, you need to operate as a single entity communicating on several mediums… not as several different entities pointing in the same general direction. If your business or brand has multiple voices, people won’t know which one to listen to. The best way to do this is to make sure you post consistently across all social media platforms, funneling all quality website traffic to one place, and have a central place for new content to be published to–such as a blog. You need to know who you are targeting and what you are providing. Some people choose the net casting or shotgun method to getting potential customers, but this is proven ineffective. Find a specific audience you’re going to target, offer a valuable specialized service or product, and focus on presenting your service or product effectively to your target audience. You see the word niche all over the internet and you might respond by saying “yeah, but I want to cater to a wider audience!” and that’s great. To even begin getting your audience, however, you must first find a niche. You can expand to other niches later, but take it one at a time. Shoot with a high-precision sniper rifle, not a fully spread shotgun.